The Book Garden: The Curious Reader - Which literary characters wouldn't you want to be stranded on a deserted island with? The Curious Reader - Which literary characters wouldn't you want to be stranded on a deserted island with? Which literary characters wouldn't you want to be stranded on a deserted island with? Seeing how summer is here, well at least in the northern hemisphere, and many folks are taking vacations to exotic and far away places, how about giving that whole deserted island scenario a whole new twist. I know many could think of nothing more horrible than being stuck there with their family (just kidding ... maybe), but things could always be worse. They usually are. So let's discuss our ultimate bad-dreams-cast for our stay on that island! I guess I don't really have to explain that one, do I? Then again, making his acquaintance is probably better than ending up as shark food while trying to escape. At least he'd make fabulous dinner conversation (apart from the ugly fact that I'd be dinner *gulp*). Seriously, what would she be good for on that island? She doesn't quite strike me as the kind of girl who'd more than whine all the time. On the upside, she likes guys who're all fangy so with Hannibal eat... I mean distracting her, I could plan my getaway. Don't give me that look! Would you want to be stuck there with kids who'd shove you into the fire pit just so they could scoff the last piece of chocolate you've been hiding? I think not. Granted, that'd be a guy who already knows the ropes, but let's not forget he must still be traumatized by having been stranded before, so he'd probably go completely nuts and things are already awful with all of the above mentioned folks. As much as I might long for (wo)mans best friend as a companion on the island, I'm afraid a rabid dog is just bad news. Of course dear Bella might like the pooch, seeing how she's into the whole teethy biting thing, but as for myself, I would have to stay warm by not leaving the fire pit those brats previously pushed me into. 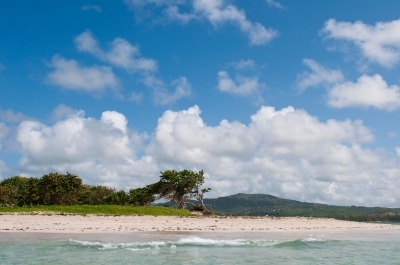 Which literary characters would you not want to be stuck with on an island? Maybe you wouldn't mind to find yourself with one of my nightmare-cast? Believe me, I had to laugh the whole time writing this post! And now that you mention it, I don't think dear Edward would be the best company on that island either for me. - Amy March from Little Women (yes, she may be my namesake but she's a snot. I want to slap her too). My oh my, you really don't like these two!